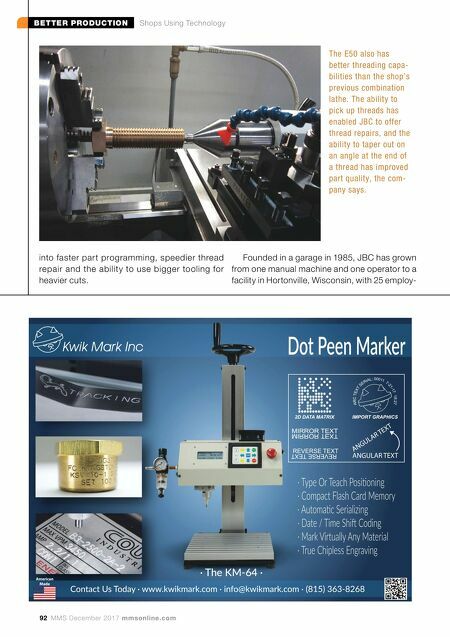 BETTER PRODUCTION Shops Using Technology 92 MMS December 2017 mmsonline.com · The KM-64 · into faster part programming, speedier thread repair and the ability to use bigger tooling for heavier cuts. 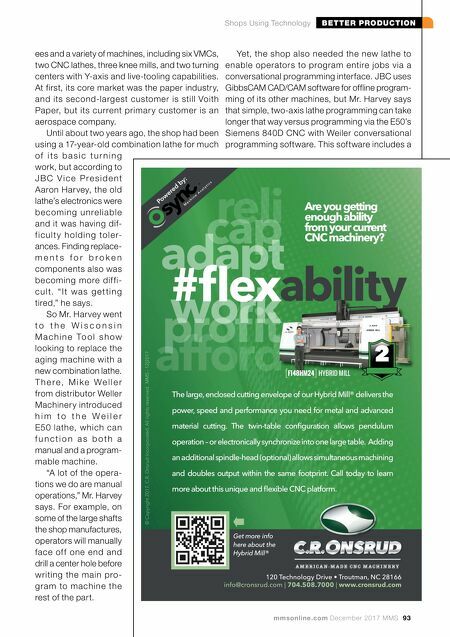 Founded in a garage in 1985, JBC has grown from one manual machine and one operator to a facility in Hortonville, Wisconsin, with 25 employ- The E50 also has better threading capa- bilities than the shop's previous combination lathe. The ability to pick up threads has enabled JBC to offer thread repairs, and the ability to taper out on an angle at the end of a thread has improved part quality, the com- pany says.